When you start playing Jurassic Evolution, you might be confused on how to get rid of those pesky trees and shrubs. You already get a template to work off when you begin on the first island. However, when you start to expand, you will begin to build into dense forests. This isn’t usually a problem as the trees destroy themselves as you begin to create new buildings. The main problem comes when you want to place paths. The paths you create become invisible under the trees making it very impossible to design the park. Luckily, it is very easy to demolish trees in Jurassic World Evolution. In this guide, we will show you how to demolish trees in Jurassic World Evolution. First off, go to the landscaping section on the menu on the left-hand side. It should look like the image below. 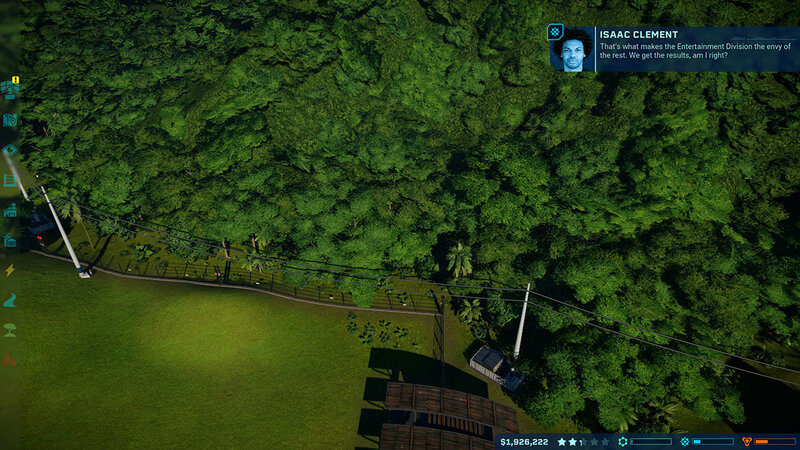 From here, you should be able to manage the terrain of your parks, such as creating forests or lakes. When you choose the landscaping option, you will be taken to Landscaping mode. You can select from many options such as trees, bushes, rivers and hills from the menu in the lower left corner of the screen. The option we need to get rid of the trees is the remove button. You can see it in the image above. When you select this option, you will be given a brush. You can also adjust the radius of the brush below. Use the brush to go over any trees you want to get rid of. That is it! You can now remove any tree or shrubs in your way and also place your own.